Babywearing has been around for thousands of years, but thanks to modern technology, Parents are now presented with more choices than ever. In this article, we’ll show you what most mommies and we think the best baby carrier is. 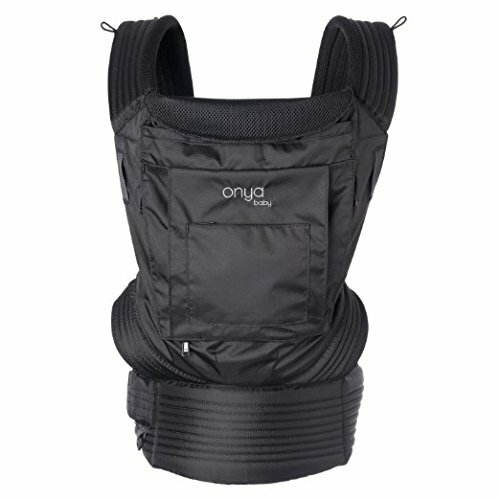 Dubbed as “the chair that you can wear,” the Onya Baby Carrier is a versatile soft-structured carrier that’s both durable and comfortable. It’s a favorite of dads because of its rugged look. Moms love it, too, because it can accommodate three carrying positions: front, back, and hip. What makes this carrier unique, though, is its chair harness that you can integrate to any adult chair and turn it into a safe seat for your child. Additional features include a toy loop, support belt, hood, pocket, and shoulder straps. It’s a professional-looking gear with its breathable nylon fabric, zippered storage pouch, key rings, and adjustable microfiber hood. It’s very supportive of the baby’s head and neck. Dads won’t be embarrassed to wear it because of its rugged design. You can’t wear baby facing out with it. Parents who prefer a simple yet versatile carrier might love the Baby K’tan. It’s a great “wrap” style carriers today and works well for newborn babies and children aged one year and below. It features a patented double-loop design that allows your child’s weight to be evenly distributed across your back and shoulders. 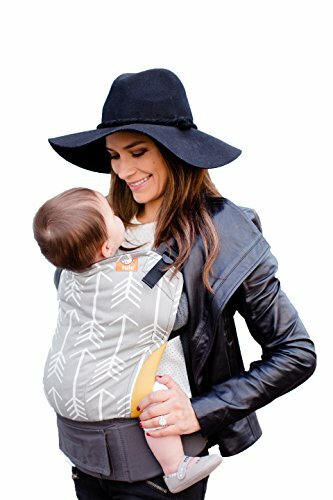 It’s a soft baby carrier, wrap, and sling all in one and offers multiple positions. It’s also very easy to use and doesn’t come with any hardware such as snaps, rings, or buckles. It comes in different sizes lets you choose between XS, S, M, L, and XL. It folds into itself for easy storing and is a great partner when traveling. It’s one of the easiest carriers to clean. It may not perform well with toddlers or older babies since it doesn’t provide much lower back support. The Tula Ergonomic Carrier is one of those carriers that your baby can enjoy from his infant hood to his toddlers years. It’s designed to support a weight range of 25 to 60 pounds, but despite its rugged look, it’s actually very comfortable to wear, thanks to its wide waistband and extra padding. It features unique, stylish prints that mommies love, as well as craftsmanship that also makes it a favorite of daddies. Hand-made using 100% Oeko-Tex Standard canvass, you can be sure that this carrier will last for years. It provides proper ergonomics and is very secure even with a newborn. It’s spacious and comfortable, so you’ll have no trouble having your baby fall asleep and stay asleep in it. Getting it on and off is intuitive and quick. It doesn’t provide a front carry facing out option. 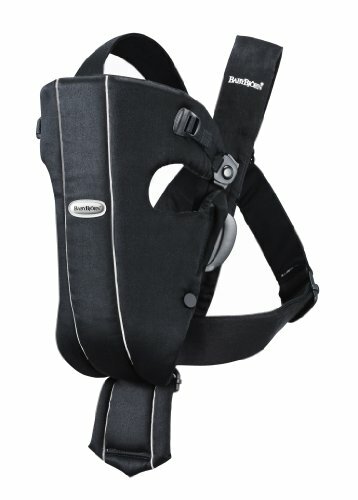 The BabyBjorn Original Carrier has been a bestseller among parents for years and for a good reason. For one, it has a very sturdy construction and provides one of the best front-carry facing positions among carriers. It’s also lightweight and is an excellent option for travel. It’s made with 100% cotton and is easy to machine wash. Perfect for newborns, it doesn’t require an infant insert. Most importantly, it provides a baby facing out position. It’s easy to manage when you’re traveling since it can be folded up and stored in your bag. It’s comfortable for both parent and baby and is lightweight and intuitive. It may not be the best option once your child reaches six months and beyond as it becomes less comfortable over time. 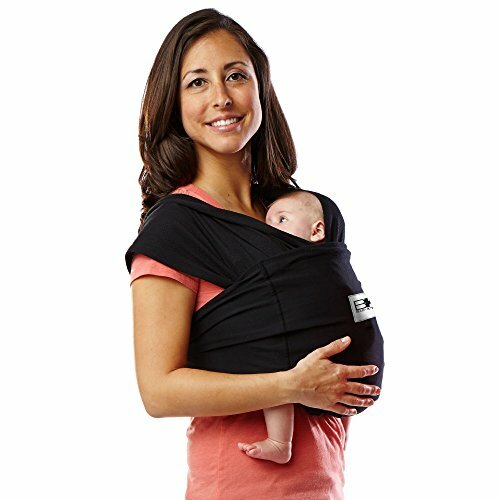 Another very versatile carrier on the list is the Ergobaby 360 . The name alone should tell that this is a 4-position carrier that can be used for front carry facing out, front carry facing in, hip carry, and back carry. This carrier is considered as the answer to the demand of parents who need something to support wide leg position, as well as something that can carry a baby facing outwards. 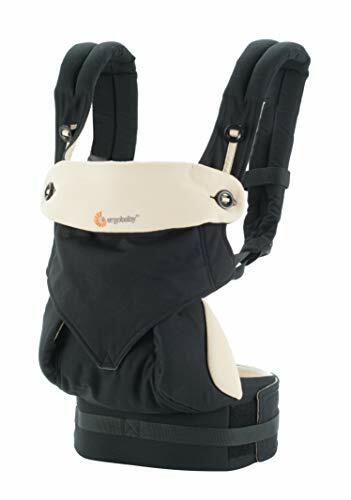 An award-winning carrier, the Ergobaby 360 provides excellent lower back support with its wide wraparound waistband, as well as unparalleled comfort with its extra padded shoulder straps. It can maintain the child’s ergonomically correct posture when in the facing out position. The structured bucket seat has enough depth, allowing your child to sit comfortably. It has a slim design and is very easy to use and store. Its weight capacity is limited to 33 pounds. The velcro straps may be noisy for some, and the buttons are a little difficult to snap. It may not provide all four carrying positions that the Ergobaby 360 boasts of, but its explanation that it’s “designed to be worn only in the most natural and ergonomic position for the baby” is enough for us. We believe that regarding overall quality, the Tula does it all. It’s soft yet sturdy and comfortable, it has extra-thick paddings on the shoulder straps, it’s one of the quickest carriers to get on and off, and most importantly, it can accommodate your child even until his toddlerhood. With its quality, comfort, and craftsmanship, it’s something that any parent will surely recommend to their friends or family. Most of the carriers we see today are produced by companies that have been established in the last four decades, but the practice of using a piece of fabric in transporting babies has been observed by many cultures since the beginning of time. If in first-world countries the use of baby carriers is seen as a convenience, in many other parts of the planet, it is a way of living. Especially in developing countries, it is common sense for mothers to use carriers to make their lives a bit easier. As time went by and as the popularity of strollers started to rise, the practice of babywearing began to decline. Suddenly, people began to think that it was only for the poor and that strollers were better since it was the rich people who were using them. Fast forward to the present time. Babywearing is becoming recognized once again as an important parenting tool, and a normal one at that. Today, more and more people, even those in the medical world, are realizing the value of this practice a means of bonding with your child and aiding his development. Babywearing is a great gift, but it does have drawbacks just as it has benefits. Let’s take a look at some of its pros and cons. It’s convenient. The last thing you would want when you’re outside doing your groceries is to worry about negotiating narrow aisles. This can be a problem if you’re dealing with a stroller, but not at all when you’re carrying your baby in a sling or a baby backpack. It’s also good to know that you can have your child so close to you and you can still use both of your hands for doing your chores. It aids in your child’s brain development. Carrying your baby in a sling allows him to be in tune with the rhythm of your breathing and movements. The stimulation helps him to exercise his vestibular system, the part of the brain that detects motion and controls balance. It can help with postpartum depression. Babywearing allows you to keep your newborn close to you. This stimulates the release of oxytocin, a hormone that is widely dubbed as the bliss hormone, happy hormone, and cuddle chemical. In short, the practice can be a beautiful therapy that can help lift the mood and is especially helpful for moms showing signs of postnatal depression. It can help your child bond with you. Since using a carrier encourages skin-to-skin contact, it’s an excellent way for a parent and a child to bond. We all know how crucial it is for parents to be physically attached to their child during the early stages of the child’s life, and wearing or carrying does a great job of making this possible. It may be tricky to master. Woven wraps, in particular, can be a little bit tricky to master. That’s what the hundreds of “wrapping” schools all around the world today are for. Of course, practice makes perfect, and there are now tutorial videos available online (just like the one below), but babywearing is an art that requires time to learn. It’s not ideal if you have multiple babies. Carrying your baby in a Mei-Tai or a regular wrap may indeed be convenient, but what if you have quintuplets? I know it’s less likely that you’ll have five babies at once, but I said quintuplets, because, believe it or not, it’s possible to wear up to three babies at a time. I know it can be done like what this mom right here did, but it can still be a challenge. It may have some safety risks. Whether we like it or not, carrying your baby hands-free can pose some risks for your child. If you trip or fall, for instance, you’re definitely going to go down, baby and all. If you’re going to carry your child, don’t leave him too long in there without you giving him some form of support with your hands. And if you feel tired or dizzy, it’s much better that you stay put in one place and take a break until you’re more stable. Today’s market offers us a myriad of quality choices, but despite the compelling, innovative designs manufacturers present, the number of options leaves us even more confused regarding which baby carrier to buy. In my experience as a parent, there is only one question that needs to be answered when it comes to selecting a carrier: “Will I be able to use it for a long time?” I believe every other factor lies in this simple, yet very critical question. If it’s going to perform well, consistently providing comfort and safety, from the time my baby starts to use it until he grows into a toddler, then it’s the perfect choice for me. Of course, you wouldn’t know until you’ve tried it, but that’s why we’re here. Our testing experience and research will help you determine which model of carrier can provide safety, support, ergonomics, comfort, and quality that your baby deserves. That said, we now present to you five of the best baby carriers on the market today and what we believe is the top performer. What say you? Do you agree with our top pick of the best baby carrier? Let us know your thoughts through the comments section. And please don’t forget to share this article if you found it helpful! Thank you!